Around this time of year leaves start to fall. First those despatched by trees and shrubs desperate for water, and in just a few short weeks by the majority of the nations trees. For many gardeners this presents a dilemma. To start collecting leaves “as they fall”, or to wait until they are all down and do it in one go. Consider then what a carpet of leaves actually does to your lawn. Leaves bind together when wet, especially the larger varieties, making an impenetrable mat that blocks light and air from the grass. That is the two primary sources of life removed. This may cause patches, weakened areas or even kill it off. But grass is tough stuff, it will be back in the spring, right? Maybe, but not for sure. It can take months for grass areas to heal themselves, leaving lawns unsightly and even unusable. And it’s easy to do something about it. Fallen leaves are a usable commodity in your garden. Collecting leaves to be part of the regular compost pile, or kept in separate leave bins to create leafmould, will contribute a rich structure and mulching substance for your flower beds over the winter. Or if you are fortunate enough to have a mulching mower, it will chop it all up and return it to the grass, thereby giving a huge boost to the fertility of the lawn. Otherwise your mower will be able to shred and collect most of the leaves for you to deposit in compost or leafmould bins. Collecting with a mower or vacuum is easier than raking them up. Leaves that are whole, i.e., not chopped will take a lot longer to break down than the shredded ones. As leaves start to fall collect them regularly, twice a week if possible. As frosts start add them to the flower beds and around trees for the worms to incorporate into the soil. So far we have not mentioned the other advantages of removing leaves. They are untidy, they blow into the house when its windy, they stick to the dog and cat, they are very slippery on hard surfaces. 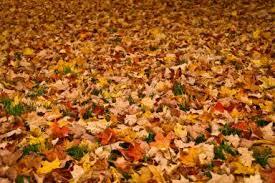 Trodden in leaves can make a real mess of your carpets too. So put them to use! Collect them and return their energy to your garden. 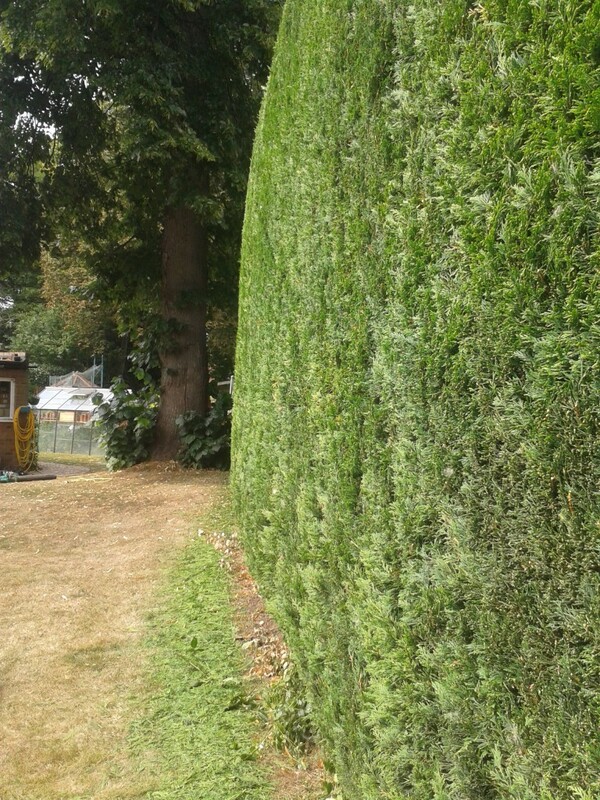 You can be more relaxed about leaving a well established garden while you go on holiday than one recently established. Or one that has a lot of pots or baskets. So what can you do to keep your garden living while you go away? A well-established garden- over three years old – should be able to hold its own. Even in a mid- to high twenties summer week. It may even deal with two weeks. If plants have not established for at least two years they will likely feel the strain of an extended period sans water. In theory the easy solution is to get someone in- a relative or neighbour – to take care of it for you. But what if you are a very particular gardener, and your friends don’t share the same passion – and ultimately care – that you do? Then you need your local garden service to come it for you. 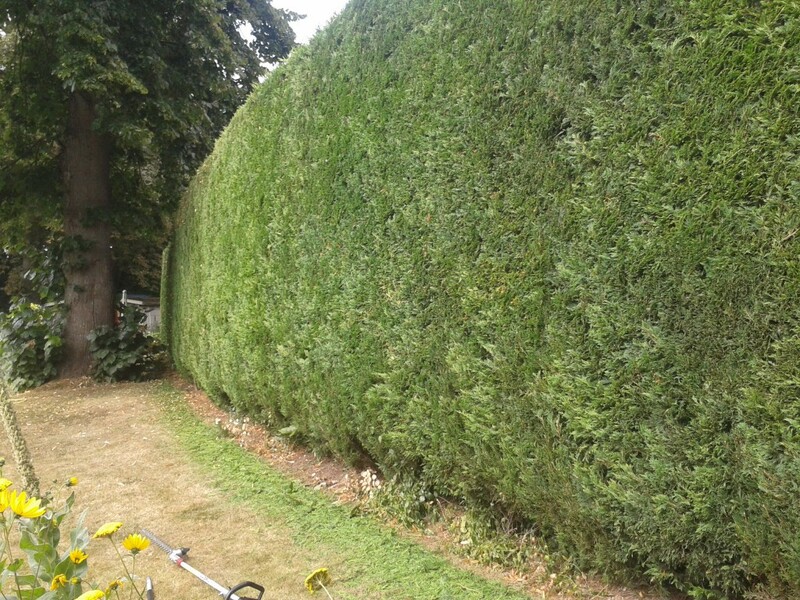 As long as they are not just grass or hedge cutters and have some horticultural experience, they will know how to provide holiday garden care. An agreement between near neighbours could work well. I am very lucky, in that I have friends that are interested and knowledgeable gardeners. I can trust them. But I still want to make it relatively simple for them too. You can’t expect someone to spend the same time that you would walking around the plot with a watering can. I group my vulnerable pots and baskets together, so that there are fewer places to go with hose or can. Grouping pots closer together also maintains a more humid atmosphere for longer. It’s also much easier to give the pots the required soaking when they are closer together. Remember that it’s better to give one or two good soakings a week than a little every day. I hang baskets in towers of two or three, so the water from the top one cascades down to the next ones, saving time and water. But perhaps with the exception of certain key beds or plantings, it’s not reasonable to have someone chasing around all of your garden unless you’re prepared to pay for holiday garden care. But they do need to have an idea of how much water to use. From the ground up can take care of your garden while you away. The service is available in the Bourne End – Marlow – Wooburn Green areas. A dry week or two will show you where plants are vulnerable. Therefore you’ll know where to direct your attention as far as improving the water retention in the soil. 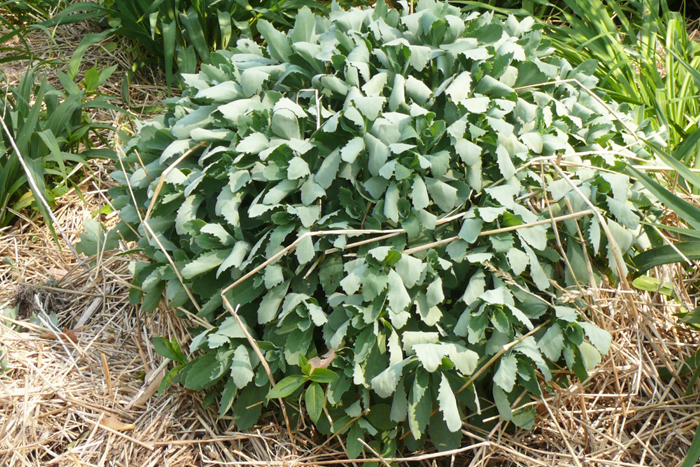 You can do this by mulching, or even re-digging the bed with more compost. Some plants that are suffering in the heat may just be slow to stablish. I have two Astrantias that have taken ages to get going in a west facing bed. Even plants that thrive in well drained or dry conditions like Sedum can suffer. The two beds that I had dug last October – in the hope of winter frosts breaking down the clay – have many distressed plants. Tender perennials like Dahlias seem to be OK. And the Lillies and Cannas. But Penstemons planted in spring have suffered, along with Achillea and Buxus. But the bed planted with a Mediterranean or drought resistant theme has managed well in its first year. A large top dressing of compost will be applied to these beds this weekend. I will slowly be returning pots and baskets to their places. Consider getting a contingency to the hosepipe too. An extended dry period may result in a hosepipe ban. Fixed installed irrigation is exempt. Drip and micro irrigation systems, and leaky pipes laid throughout the beds can still be used. You can also have these automated, so they will take care of the garden when you are away. But back it up with rainwater collection systems such as water butts. I say “butts”, as one will not last long if there is no rain for a few weeks. Storing more water will make keeping your garden alive more cost effective.